Haverhill’s own Tom Bergeron would be proud. 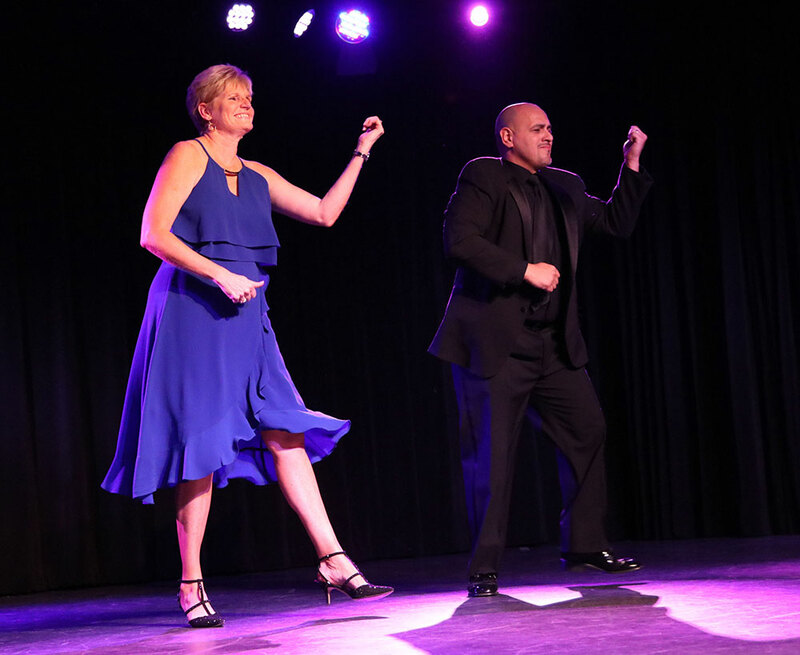 City police officer Guy Cooper and Jennifer Borislow, the founder of Methuen’s Borislow Insurance, were among the local stars to dance the night away for a good cause April 6 at the fifth annual Stepping Out With the Valley Stars gala to benefit Emmaus. Others dancing in this year’s show included project manager Melissa Coe, Merrimack Valley Credit Union’s Digna Jhonson, Jose Oliver of AutoFair Subaru, Haverhill Recreation Department Director Vinny Ouellette and Jason Petrou, the creator of Haverhill-based energy drink CEO. Through the event and a companion online auction, Emmaus raised more than $130,000 to help Haverhill-area children and families in need. The housing nonprofit assists homeless and formerly homeless locals rebuilt their lives through shelter opportunities and education programs.